We spoke with James Kemp, the Director of International Sales for Osaka-based accessory line Bag’n’NOUN, about the founding of the brand and how the designer, Takeshi Ozawa, stays true to his original mission. The “NOUN” in BAG’n’NOUN actually stands for “Necessary or Unnecessary”, which is the name of a clothing brand that our founder, Takeshi Ozawa, started in the mid ’90’s. Ozawa created an extension to his clothing line in 2005 by adding bags and accessories. The line plays with bright colors and unique fabrics that make carrying a bag fun. This was how Bag’n’NOUN was born. 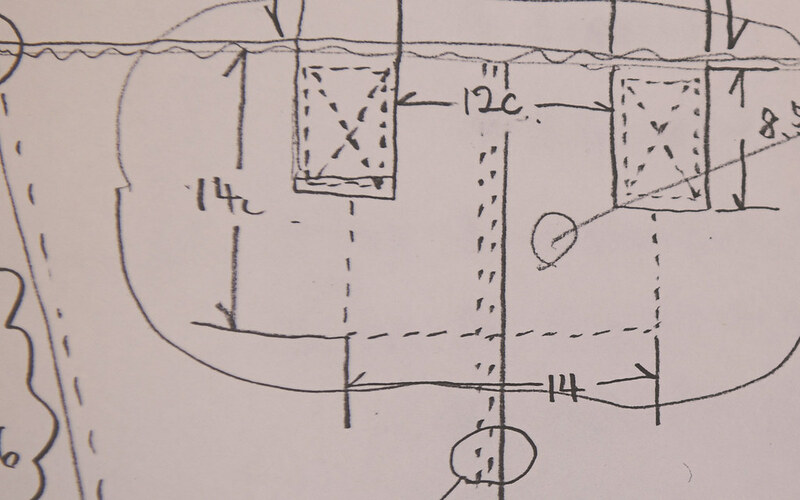 In 2011, Ozawa stated that a customer “should choose a bag with your heart (values) and not with your head (logic).” How has that idea developed over the years and how is it reflected in the design process? It’s still just as true today as it was back then. Ozawa doesn’t usually design bags the “normal way”, meaning he doesn’t look at a problem and try to solve it by design. He sees a fabric and the ideas come from the fabric. For example, we have done a few collaborations with the Australian textile manufacturer Woven Image. 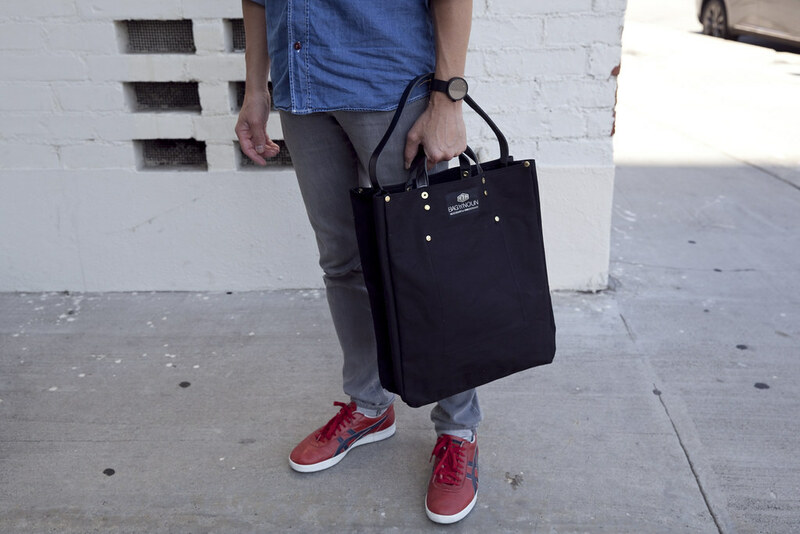 Their fabrics are generally made for heavy use furniture, but bags also take quite a beating, so we decided to make some bags out of heavy-duty materials. We did a series called “Zip” which used a Woven Image fabric which was actually called “Zip”. It’s a jacquard (woven fabric), which wasn’t intended to be reversible, but when you flip it over, you get a really cool effect on the back. The colours are very bright, and the range features vivid contrasts, and is actually designed as outdoor fabric- for example, for chairs or outdoor sofas next to the pool. As such, it’s extremely tough, abrasion resistant, colorfast, UV stable and so on. Ozawa felt that such a fabric–one that looked as good from the front as the back–had to be used in such a way that you could appreciate both sides. And thus, the BAG’n’NOUN “ZIP” series was born. It’s our first fully reversible bag. This is a good example of the fabric leading the design process. 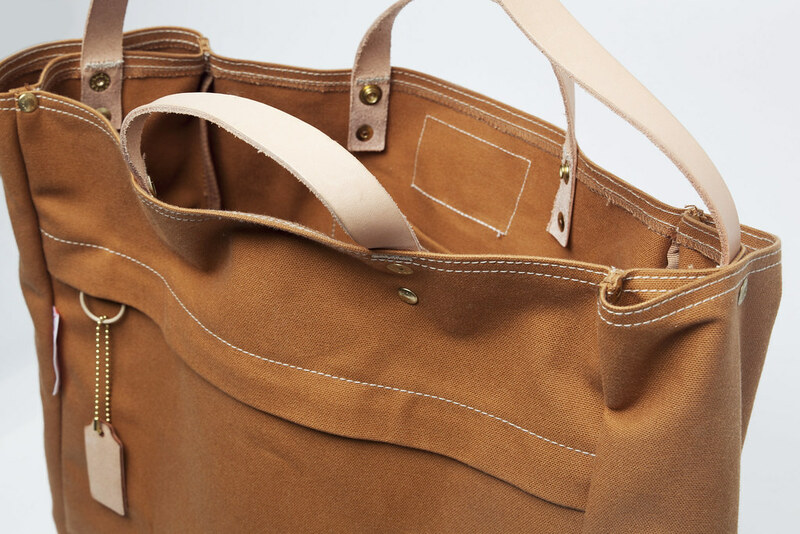 Ozawa gives great attention to details that are more intuitive to the use and feel of the bags. Are there examples of that in the current line? Or in the Toolbag with Leather Strap that we carry? Yes, Ozawa is very focused on details, and not in the normal sense of “convenience” or “functionality” but on a much deeper level. For example, with the travel pouch series he made, which is a fairly simple little pouch, he creates both a curve and a triangular form from the way the fabric is cut. He also likes to use little details little deadstock plastic stoppers on pull-strings, or rivets or zippers that are finished in a different color than you’d normally find. They are all really small details, and I’d say that most people would not notice them, but they are there. 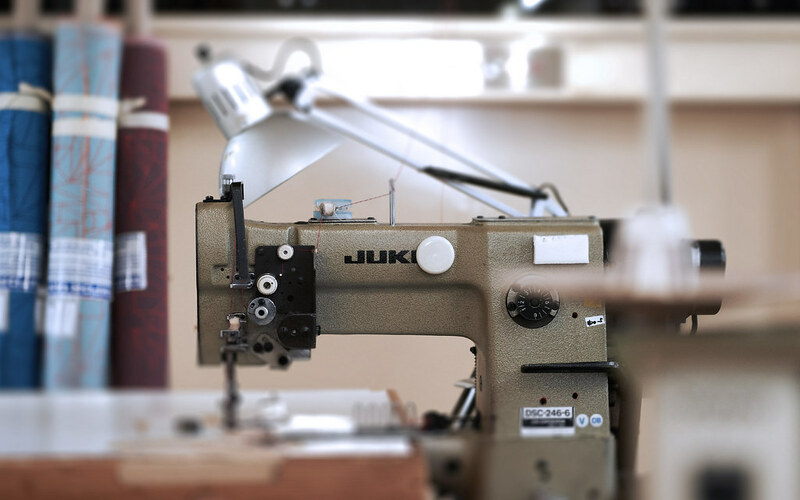 Materials are a large part of what makes Bag’n’Noun products unique. The Toolbag uses a heavyweight cotton canvas that is custom woven on a 1930’s loom at a factory in Kyoto. Can you talk a bit about the selection process for materials? Materials are a big part of the process. Ozawa loves to start with a material, and the shape, form and function come after that. The canvas used for our Toolbags is the Quality Canvas, or Q/C series. The mill in Kyoto has three amazing 1930′s looms, and they give the operator a lot of control over the final canvas. Ozawa chooses a very high grade cotton for this canvas, which gives the finished canvas a luxurious feel. The warp and weft are packed very tightly together which means that the cotton produced is really stiff. It softens up over time, and the more you use the bag, the softer it gets. It ages really beautifully, too. Tech items are a big part of our carrying needs, right up there with our wallets and keys. How have these items added or influenced the Bag’n’Noun collection? Ozawa was initially a bit reticent about making bags for tech items, but he has relented and made some padded “bag in bags” that you can use to bundle up your laptop, for example, and then put into the the Toolbag or Napsac. He doesn’t like to design for functionality though, so he deliberately avoids designing pockets for smartphones or computers and so on. He feels a bag should have more heart than just being a tool to carry an iPad. The Bag’n’NOUN Tool Bag is available at poketo.com.